November 27, 2013, Taipei, Taiwan – FZtech, a manufacturer and supplier of cutting edge and high quality products, is excited to introduce its subsidiary brand and the latest website for a new product line – Ni Hao, I’m FiFi! The brand is all about the story of character FiFi, features at lovely illustration, city tour, and interesting life in France. The products are protective case for smartphones and tablets. In 2012, FZtech starts the cooperation with talented Taiwanese illustrator - Yating Hung. In beginning, she designed the iCity series product –protective case for Apple, HTC and Samsung. She drew inspiration for the designs from her own impression of the cities. The iCity series presents the most of images of the brand, the traveling cities includes Paris, Tokyo, London, New York and Taipei. Therefore, FZtech works with Yating as a long-term cooperation and creates this brand Ni Hao, I’m FiFi! The background story of FiFi is almost the copy of Yating. She starts her college in Lyon, was working in bakery store and traveling in many countries. 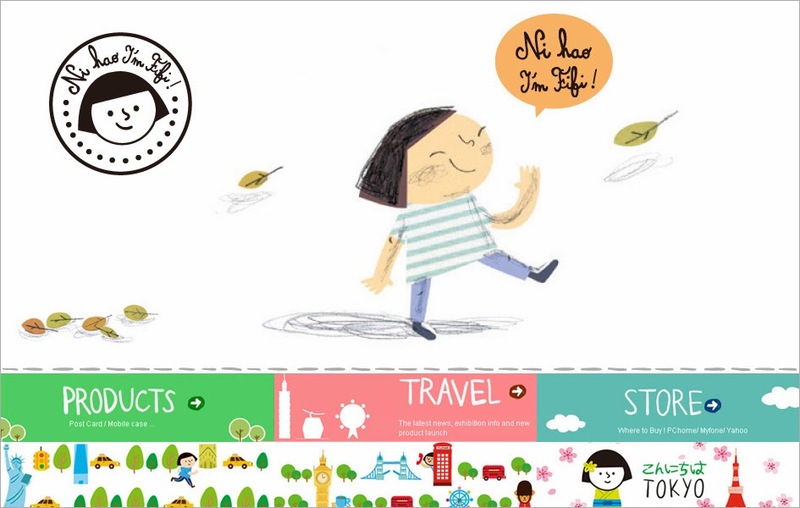 The brand new website has several sections, including FiFi story, travel album, products, wallpaper download and stores. People can meet FiFi and know her in the first story section. It mentioned that FiFi is a delightful girl which is also the brand image of Ni Hao, I’m FiFi! , as well as people can see the lovely illustration everywhere in this official website, making it close to people and delight the life. Please visit Ni Hao, I’m FiFi! website on www.nihaofifi.com.